A plan for your each and every hosting requirement. OnlinXP offers Linux Shared Hosting with Cpanel, Website Builder, Softaculous, featuring powerful resources on latest generation hardware that empower your website to deliver best performance at all times. Get these at affordable web hosting plans in India, that come bundled with FREE value added services. The most popular apps run better on our servers than anywhere else! Get everything that you need to host and manage your website! Search & register a brand new domain or transfer your existing domain to us. With OnlinXP Get Free SSL Certificates. Protect your website and your visitor's sensitive data and boost your website ranking with SSL. Select the template, add your content/images and publish your website. No coding skills or technical background required. Easily manage your website, emails, databases, domains, sub-domains and much more with cPanel control panel. Install 1 Click apps like WordPress, Joomla, Magento & lot more for free through Softaculous within cPanel. Our automated system takes daily backups and provides easy restore option. High speed solid state disk drives allows for quick page load response time and better performance! Performance up to 9x faster than Apache with a small memory footprint and increased scalability..
Our datacenters are in India, UK and US. Choose your datacenter location at the time of sign-up for no additional cost. Not happy with your existing hosting company? 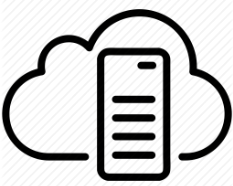 Switch to OnlinXP, we will migrate all your data onto our server. No charges for data migration. Q. What is Linux Shared Web hosting? Linux Shared Web Hosting, is a shared website hosting model with Linux Control Panel (Cpanel) comes with Litespeed Web Server compatible with PHP and MariDB. 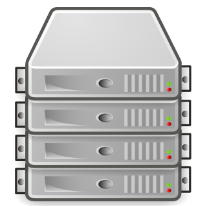 In a shared hosting model, multiple clients are hosted on a single server i.e. the clients share the server’s resources and this helps reduce the cost, since the cost of the server and its resources are spread over all the clients/packages hosted on the server. Shared Hosting is perfect for personal websites, small and mid-sized businesses that do not require dedicated resources of a server. Yes! You can host multiple website on single hosting, all you need to do, is to check the plan which allows you to host multiple websites. You have to login to cpanel, from where you can add multiple websites via "addon domains" option. Q. What is LiteSpeed Web Server? LiteSpeed web server is a high-performance Apache drop-in replacement. LSWS is the 4th most popular web server on the internet and the #1 commercial web server. Performance up to 9x faster than Apache with a small memory footprint and increased scalability. MariaDB is a drop-in replacement for MySQL meaning it follows the same schemas and structure therefore is compatible with your current scripts/software that require mySQL. The difference is faster and safer data replication. A complete comparison can be viewed on the official MariaDB website. Q. Where Are Your Servers Located? Our servers are located in India (Mumbai), US (Chicago), UK (London). Q. What is the limit of my account in shared hosting? Q. What happens if I need more limits per cPanel?? In that case you need to upgrade your hosting from shared to Managed VPS or Managed Dedicated Server (we move all the data, you just have to pay the package difference). Q. Will You Transfer My Existing Websites From My Old Web Host?? Sure we can! We will provide you with all the necessary assistance for transferring your website from another web hosting company. All you need to do is get in touch with our customer support team after your new hosting account is setup and provide them with your old hosting account login information. Q. How can I contact OnlinXP in case of any query or assistance required? 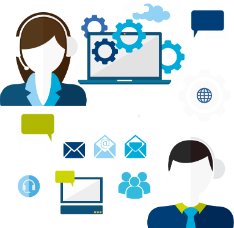 We provide 24x7 uninterrupted customer support through phone, live chat, email and tickets. You can reach us through any of these mediums and talk to us. Every customer is important to us and we assure you that prompt assistance/appropriate solution will be provided whenever required. Q. Do You Provide SSH Access? SSH Access (Jailed) - We provide SSH root access with basic shell commands and its usage is restricted to your account. 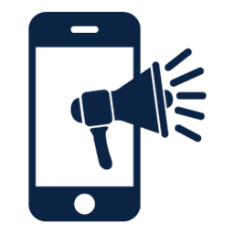 To request the access drop an email to the support team.